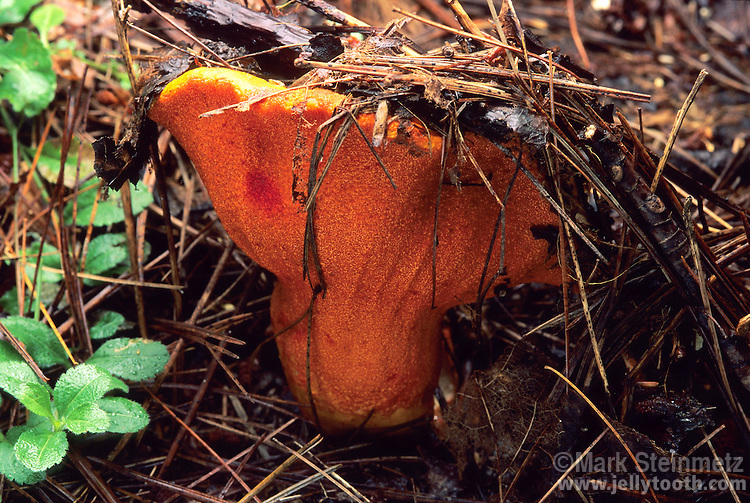 Lobster Mushroom (Hypomyces lactifluorum). This fungi parastizes other fungi, specifically white mushrooms in the Russula and Lactarius families, creating a bright orange crusty covering over the host fungi. The transformed mushroom is regarded as edible. Great Smoky Mountain National Park, North Carolina, USA.